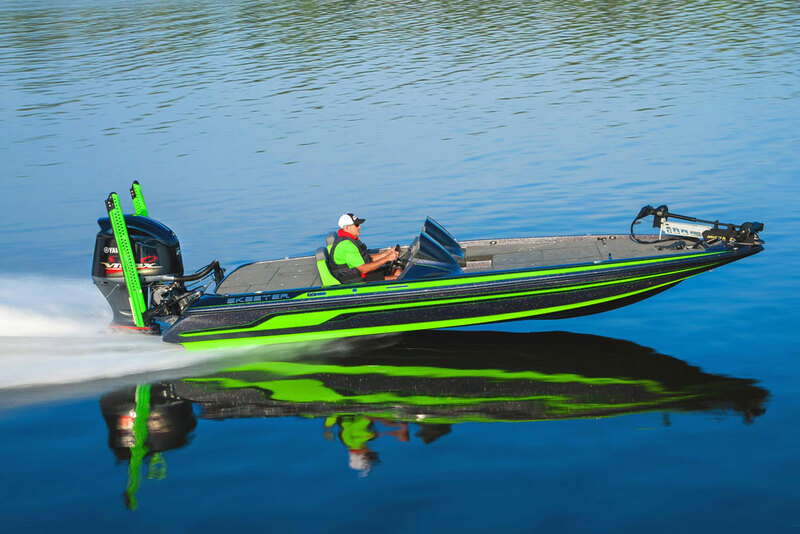 The Dargel Skooter: who says a boat has to actually float? Some boats are just plain weird. One of those odd-balls is the Dargel 196 Skooter - and I love this thing. Who needs a foot of water to float? 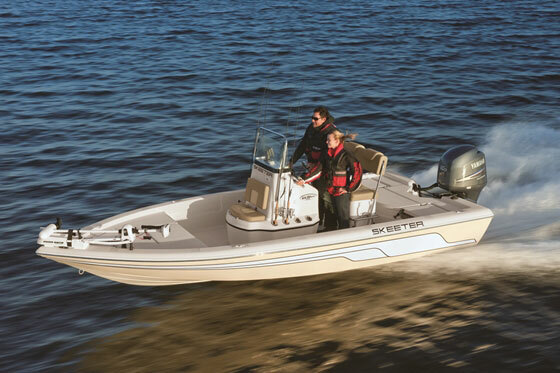 Not the Dargel Skooter - this boat can get along just fine, with mere moisture. 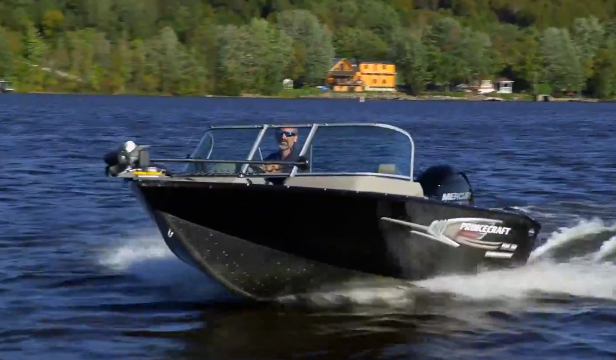 The 196 Skooter is about as specialized a boat as you'll ever see. 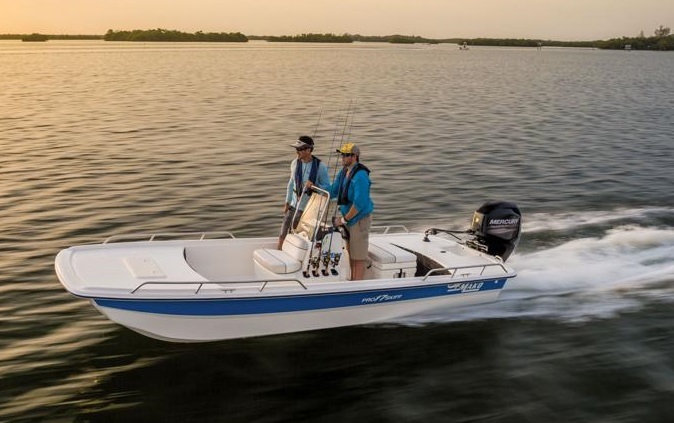 It's designed for ultra-shallow water, so bay and back-country anglers can run to places that no other anglers dare go. 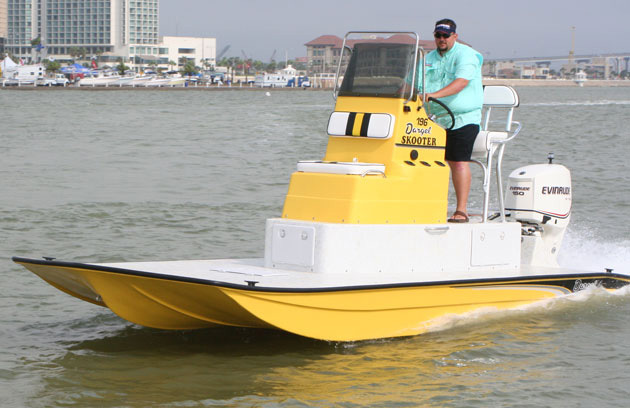 While your average bay boat has a static draft of about a foot, the Skooter can float in an outrageous six inches of water—and its running draft is wet sand. I am not making this up. When I tested the Dargel the manufacturer's rep insisted on blasting over an exposed sand bar at 30-mph, just to prove it could be done. How's it possible? 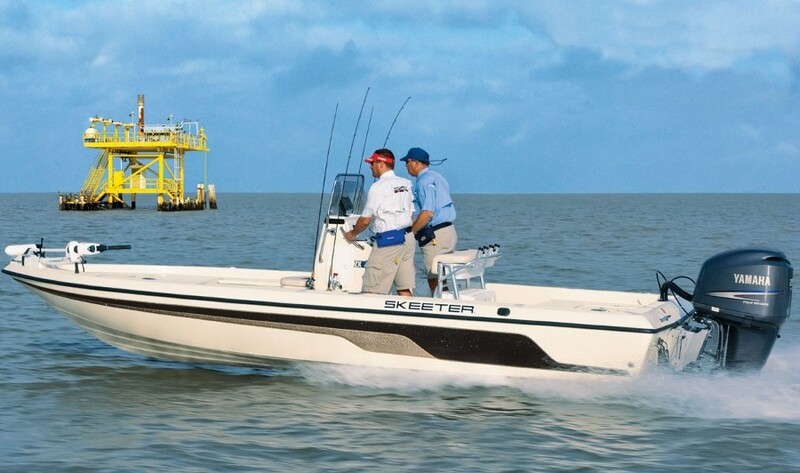 The boat's hull has a tunnel that directs water back and up, and the outboard is mounted on a jack plate. You car raise the engine until the prop is about even with the hull bottom, get up a head of steam, and coast through uncharted territory. The bar we blasted across was maybe three feet wide, with water lapping at the edges, but it's top was simply not submerged. Nifty. Of course, there's a down-side. 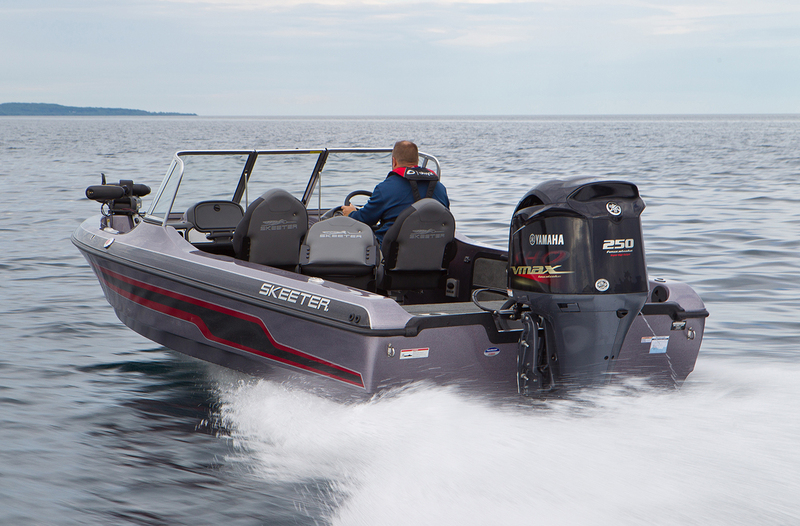 A boat with this sort of bottom doesn't just look weird, it's weird to operate, as well. In fact, even though I've run literally thousands of different boats it took a solid hour of training with that rep for me to feel comfortable at the helm. And I still wouldn't dare bar-blasting, like he did. 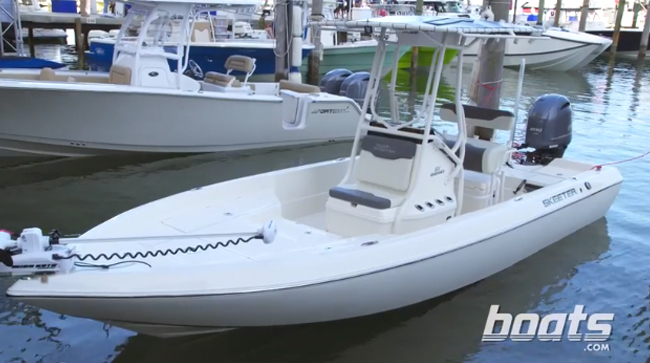 Plus, the boat has no sides, few accessories, and zero creature-comforts. Still, you've gotta love a boat that's so unique, so specialized, and so good at doing a specific job. I know I do.